This year we’re transitioning in Deer Camp to a traditional Rockmont campout schedule. Hickories and Hemlocks will go on both a Cabin campout and a Tribal campout, with some days on camp in between enjoying their skills, meals, and, of course, free swim! This will allow our campers more activities with their tribes and bonding with their cabin-mates. 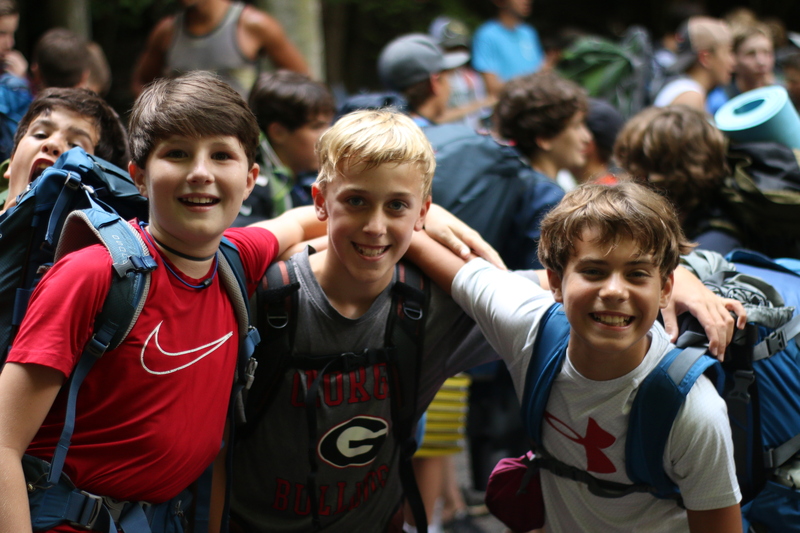 For the past three summers, our Deer Campers (11-12 year olds) have embarked on a three day campout during the first few days of each Classic session. This trip consisted of each tribe traveling to our Adirondacks or our Tribal Campsite the first day, hiking to Eden Rock the second morning to meet as Deer Camp, and spending the second night at the alternative location. This challenge was unique to Deer Camp and a great chapter in the story of our 11-12 year old experience. This change is good news! A healthy camp is a growing camp, and we believe this is a great next step for our Deer Campers. We’re excited to see you in just a few months!